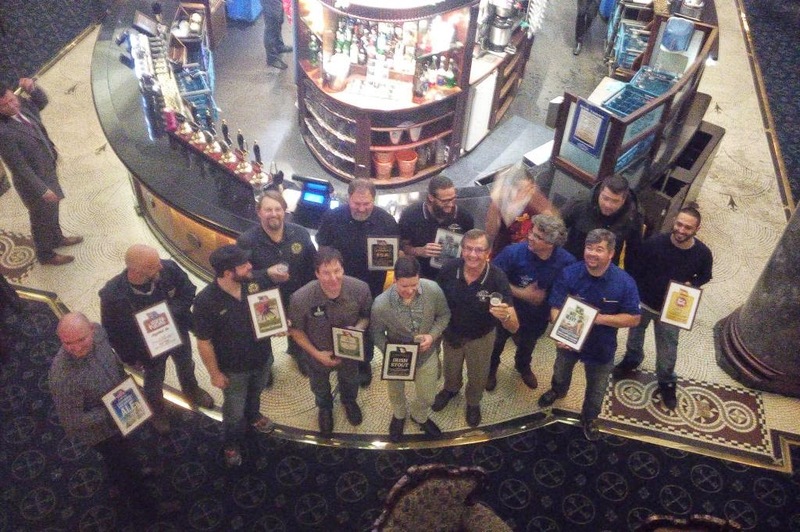 BeerViking: What brings foreign brewers to work for Wetherspoons? What brings foreign brewers to work for Wetherspoons? Earlier this year, craft brewers from around the world flew home after a week's brewing at some of Britain's oldest and most traditional real ale breweries. Last month, the fruits of their - unpaid! - handiwork went on sale at 950+ pubs around the country, as part of JD Wetherspoon's spring real ale festival. And this was only the latest of several such collaborations, albeit one of the largest, with ten collaboration beers on offer this time. So what is it that attracts these successful brewers - all of them highly regarded at home, whether that's the USA, Australia, Spain or even Brazil – to come to the UK and brew cask ale for Wetherspoons? Especially when, while they get their travel paid for, they're otherwise working for free – it's a real busman's holiday. Luckily, I had the chance to chat with many of those involved, both from abroad and their UK hosts, at a meet-the-brewers event hosted by Wetherspoons at its grand Crosse Keys pub in the City of London. For almost all the visitors, it was the opportunity to do something new and rather different, not least because many of them don't have any experience of brewing cask-conditioned beer. “We do bottled-conditioning and kegs – cask beer is totally unknown in South Africa, it's a whole new experience,” said Brian Stewart of Shongweni Brewery, who brewed a cask version of his Durban Pale Ale at Batemans. “Some of the American brewers have gone back and started doing cask themselves. Others want UK exposure for possible future exports,” added Dave Aucutt of East-West Ales, who is the beer manager for Wetherspoons' real ale festivals (and is also the Dave pictured on the JDW Real Ale website). Then there are the volumes involved. To feature in a Wetherspoon's national festival, you need to be able to brew maybe 200 barrels of your beer. The guest brewers will typically have modern 10 or 20 barrel brewkits of their own, in gleaming stainless steel, so it is quite a thrill to come to a centuries-old family brewery with a capacity of maybe ten times that – and that leads on to the historical angle. “It's a blast for them, brewing on older and more traditional plants,” said Simon Yates, assistant head brewer at Marston's. “It's the experience of doing something different, seeing a different brewery – we brewed with Hook Norton,” agreed Dave Edney of Australia's Mountain Goat Brewery, adding that you can't get much more historic than Hooky's Victorian tower brewery. And of course there is Britain's world-class ale heritage more generally, which is way too easy for us Brits to forget, what with all the excitement over craft beers and so on. The fact is that all these brewers look to the British ale tradition for inspiration for at least some of their craft beers. For example, although Brian Stewart said that with South Africa being so hot, the main market is for “easy-drinking beers to watch cricket by”, and that he also brews German and American-inspired beers, his flagship Pale Ale is inspired by IPA dropped off at the Cape by ships on their way to India. And what of working with Wetherspoons? After all, while many British beer fans love 'Spoons' for its championing of craft real ale (and now of craft beer in general) at affordable prices – it planned to sell three million pints over the 17 days of its real ale festival – others regard it with horror. To them it's a beery McDonald's, a corporate monster undercutting 'real pubs'. Perhaps with the clearer vision that comes from not being so close to the topic, the visitors I spoke with were uniformly enthusiastic. “You get an email saying 'Come to Britain and brew one of your ales to be sold in 950 pubs'! How could you resist that? Sure, there's US pub chains, but it's not the same,” said Tyler Brown, who brewed a version of his Barley Brown's ESA at Marston's. The host brewers were enthusiastic about Spoons too, though for different reasons. 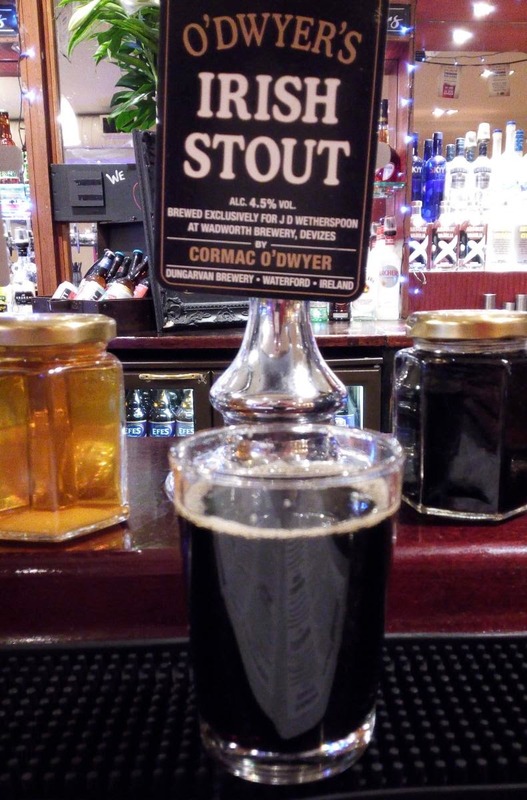 “You don't make a lot of profit [selling to Wetherspoons], but it does make one and it helps with your volumes, which reduces your overall malt bill and so on,” said Martin Cullimore. It's also great for the visibility of both your brewery and your beer, added Adnams brewer and quality manager Belinda Jennings. And they were just as enthusiastic about the overseas collaborations as their visitors were. “The first thing is it's enjoyable doing something a bit different,” said Simon Yates. “A lot [of the guests] are not formally trained brewers, what's great is their enthusiasm and passion – it's very invigorating,” added Martin Cullimore. In addition, while the guests may learn about cask conditioning and brewing in volume, the hosts learn too. “They're often more adventurous with ingredients, for example we might never have thought of using pink peppercorns,” said Belinda Jennings. She added that they could even rebrew some of their collaborations themselves – with the guest's permission of course. Much of the time though, it's effectively a new beer – even more so in this festival, because the overarching theme was that all 50 festival beers would be brewed using only British-grown hops (which in practice meant English hops, because so little is grown in Wales and Scotland). Apparently there's now 27 or 28 different hops grown in Britain, ranging from established varieties such as Fuggles and Goldings to newer ones like Archer, Boadicea and Jester, and even English-grown Cascade. The festival beers featured 24 of them, as not all could be sourced in sufficient quantities. “The beer will be different – it's our existing recipe, but the water is different, the hops are different, and of course cask conditioning is not the same as brewery conditioning,” confirmed Brian Stewart. This also lead Dave Edney to articulate the one big regret shared by the guest brewers, who were already heading home several weeks before the festival ales would be ready to sell. “It's a pity we can't taste the beer – it's a different yeast and water so it won't be the same,” he said. As mentioned, one of the reasons for pairing the guests with experienced cask ale brewers is to help them brew their recipes in this new-to-them way. Unfortunately, while this concept usually works well – sometimes startlingly well, as with the more recent Caledonian-brewed Nøgne Ø Asian Pale Ale, or the Adnams/Rogue Brutal IPA earlier this year – I'm not sure that it meshed with the spring festival's theme of British hops. Of the international brewers' beers I tried, a couple were pretty good but most were only so-so. I think that the problem was they were being asked to use unfamiliar ingredients as well as different processes. So where normally the host brewer can help adapt their recipe as needed, this time they were in effect creating a new recipe. Plus there was no time for test brews, so if neither the host nor the guest had brewed a similar combination before, then it's all educated guesswork. But all in all, it's a brilliant idea. The brewers get to share ideas and expertise, drinkers get some new and hopefully top-notch cask beers, and horizons are broadened all round. That to me is a very large part of what modern (craft, if you like) brewing is all about, and I thoroughly applaud Wetherspoons for supporting and encouraging it. I agree that in principle it's a great idea but it didn't work this time for the reasons you outlined. Thanks - I'm glad I wrote this up, even though I couldn't get a related article commercially commissioned (which is what I was trying for, and why it's a bit late appearing here!). Writing it anyway made me think more about what was going on, and why some of the other JDW international collaborations worked so much better. I should say though that, of itself, I loved the theme - there's so many new British hops, and the industry here needs all the support it can get. It just didn't work very well when crossed with the collaboration projects. American Craft Beer has always looked to British Brewing for inspiration, it is just most of the Ales, Porters, Stouts and Barely Wines are brewed with an American twist on the style. Craft Brewers here are just getting into Real Ale, which maybe the final frontier for US brewers.